OPPO A7 is now available at Argomall! 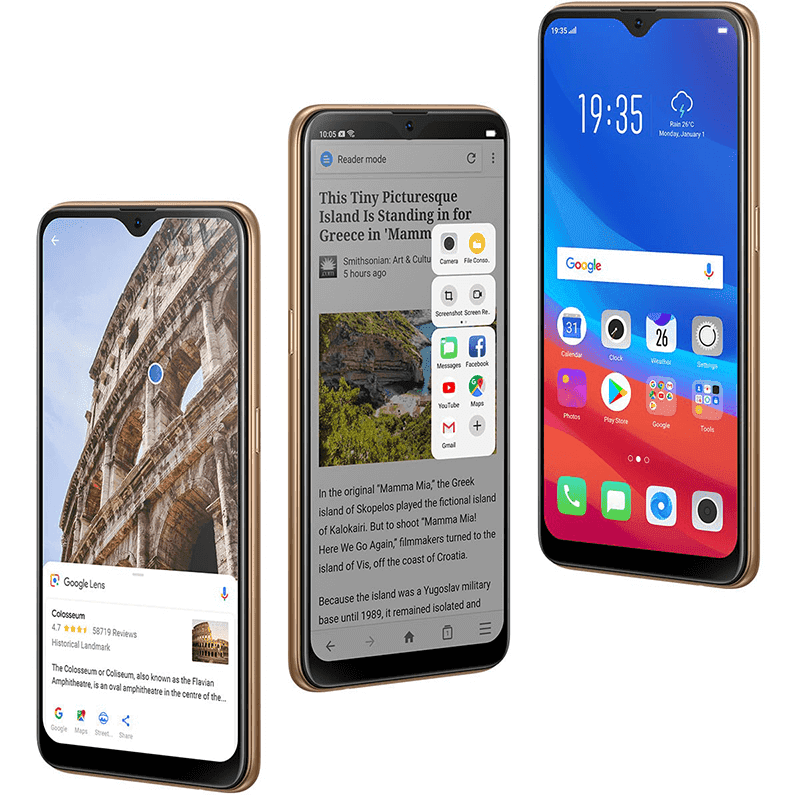 Home / mobile / news / oppo / OPPO A7 is now available at Argomall! The new OPPO A7 is now available online at Argomall. It is a phone under PHP 14K with a 6.22-inch halo screen and a 4,230mAh battery. Inside, the OPPO A7 has a 64-bit Snapdragon 450 octa-core processor clocked in at 1.8GHz. It also has OPPO's Hyper Boost technology for a smoother gaming performance. It also has an Adreno 506 GPU. 4GB of RAM and 64GB of expandable storage. It has dual rear cameras sporting a combo of 13MP f/2.2 + 2MP f/2.4 with AF and LED flash. For selfies, it has a 16MP f/2.0 sensor with AI Beauty 2.0 and LED flash. Other features include WiFi 802.11 a/b/g/n/ac, 700MHz 4G LTE, OTG, Face unlock and GPS with GLONASS, BeiDou and Galileo. 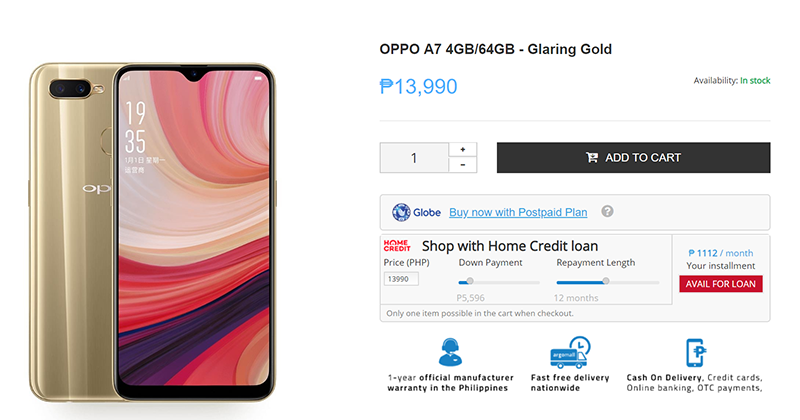 Argomall has options available when you purchase the OPPO A7 including an option to buy it with a Globe Postpaid Plan ranging from ThePLAN PLUS 599 to ThePLAN PLUS 999. You can also buy it with Home Credit loan with a down payment as low as PHP 4,533 with a monthly payment of PHP 937 for 18 months.